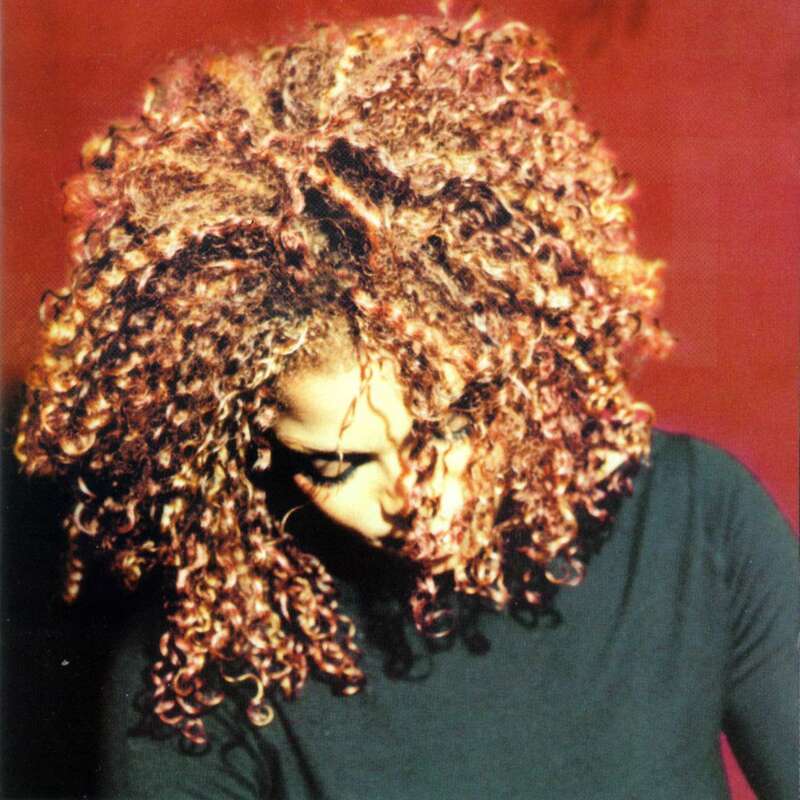 Seventeen years ago, Janet Jackson released her most introspective album to date, aptly titled The Velvet Rope. Representing the velvet rope that separates the “VIPs” from those who “are not,” the album title symbolizes the “need to feel special” that all people have, according to Ms. Jackson. “It is this need,” she says, “that can bring out the best in us, yet the worst in us,” and “created the Velvet Rope.” With this album, Janet Jackson let the world behind her own personal velvet rope. With its songs, she addressed a variety of very personal issues and experiences in what can be seen as a very therapeutic album for Janet. Like Mariah on Butterfly, Janet delves into a number of themes on The Velvet Rope. They even cross paths, at times, with the topics they address on both of their defining releases from 1997. However, Janet’s Velvet Rope is revered for her willingness to touch upon tougher topics such as domestic violence, homosexuality, discrimination, and depression. Although, it isn’t all sad. She also continues the unfiltered exploration of her sexuality that began on the janet. album. And, similar to Mariah, Janet too deals with the theme of “Letting Go” on The Velvet Rope, which is also the final theme to be discussed on Butterfly later this week. The way Janet deals with this theme, though, is a bit different. Janet uses this theme of letting go in conjunction with the Sankofa symbol, which literally means “reach back and get it.” However, a more deeper interpretation of the phrase more or less means to “learn from your past to move forward.” In many ways, the album was a new beginning for her, just as the Sankofa’s symbol of the bird and the egg represent. On The Velvet Rope, when Janet lets go of something or recalls her past, it is contemplative and meaningful but not necessarily sad. First, there is “Got ’til it’s Gone,” the album’s lead single featuring a sample from Joni Mitchell and a guest rap verse from Q-Tip of A Tribe Called Quest (another common denominator between Velvet Rope and Butterfly: Q-Tip co-produced Mariah’s “Honey”). This mid-tempo jam’s message is simple, “you don’t know what you’ve got ’til it’s gone.” The song serves as a reminder to cherish life in the moment, rather than in retrospect. Or, simply, to not take life for granted. While there’s a certain sense of regret in the song’s lyrics, the vibe of the track suggests a positive outlook to inspire new beginnings, as the Sankofa symbol suggests. Speaking of the song inspiring new beginnings, check out AlanMichael’s cover of Velvet Rope lead single, “Got ‘Til It’s Gone” below – exclusively on EST1997.com. It’s a vibe-y reimagining of the 17 year old track. Read more on on AlanMichael’s exclusive cover here. In the interlude “Memory,” Janet says, “you don’t don’t have to hold onto the pain to hold onto the memory.” While it’s likely referencing the track to follow, “Together Again,” this can be applied to any memory from the past. You can keep a painful memory, but you don’t have to keep and dwell upon the pain that was attached to it, because it is indeed in the past. On “Together Again,” Janet deals with the loss of a cherished friend. However, rather than wallow in her grief, Janet opts instead to celebrate the life of her friend. A positive and uplifting song, “Together Again” celebrates the freedom that death has brought to Janet’s friend. Freedom from pain, worry, and suffering. When discussing the song, Janet revealed that it was actually inspired by her loss of a friend to AIDS. While Janet admits she misses her friend, she reminds herself that he or she is “everywhere” she goes, in “every smile” she sees. “Dancing in moonlight, I know you are free, because I can see your star, shining down on me,” she sings. Both lyrically and musically, “Together Again” inspires a positive celebration of life and embraces a metaphorical freedom. That sense freedom is further expressed on “Free Xone.” On this song, Janet deals with the topic of homophobia. She describes a story of two men who meet on an airplane. Assumedly, they have a conversation, small talk at most. Then, one man discovers that the other is gay. She says, “he seemed real nice… until he found out he was gay.” Which, of course, implies a not so nice reaction to this admission. In 1997, homosexuality certainly wasn’t a topic frequently addressed by the media, or within popular music. Janet was viewed as a pioneer and became somewhat of an icon to gay fans for her bold and genuine support of the gay community. To this day, she continues to be a quiet but unwavering supporter. “Free Xone” isn’t the only song to address homosexuality on The Velvet Rope, either. She also makes some vague references on “Tonight’s the Night,” but more will be said on that song in the weeks to come. All four of these songs can do that – they each provide a different yet familiar groove that can inspire dance and fun as a form of therapy for the pain the songs reference at their lyrical core. Perhaps that is why three of the songs were chosen as singles; so that Janet could share her method of healing with the masses. Next week, we’ll look at four more songs from The Velvet Rope, and get into the “heavier” material.